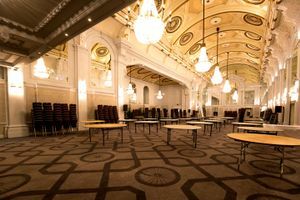 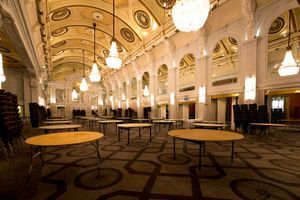 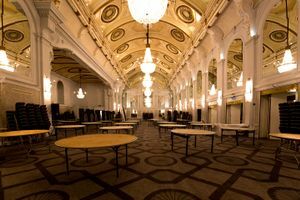 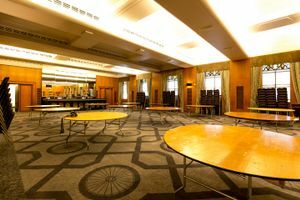 This 6000 square feet space is advantageously positioned in the sophisticated and tasteful area of Covent Garden and is suitable for fashion shows and fashion events. 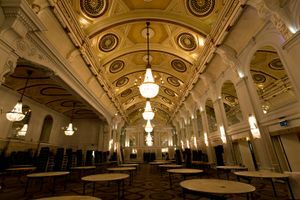 The space is situated on the ground floor of a charming classic building. 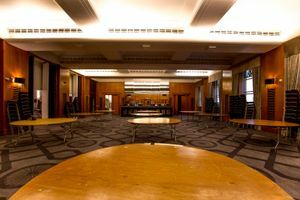 It is a large, open space with a brown color scheme, high ceiling and brown flooring.